I imagine I’m just one of many who are trying make sense of 2017. Despite one’s political perspective, this has been a strange and at times difficult year. The constant churn in the news cycle, and the unsettling events we see and hear, has made it difficult to feel like we have a firm grasp on many foundational aspects of everyday life. What is even more disrupting, is how discourse, and a willingness to engage in open dialogue, has become almost nonexistent. Whether our public voices are afraid of recrimination, so polemic and filled with vitriol that it deafens their ability to listen to counter points of view, or unwilling to stand for common values because of a fear it will erode their position with people on whose support they rely, we seem to be living in a time in which the middle ground is like a drought afflicted arroyo. Ok. That was bleak. If all that’s really the case then why do I still live with the same optimism and love of humanity than ever before? I like to think much of it stems from this profession I serendipitously wandered into 15 years ago: philanthropy. Being the CEO of the Community Foundation for Monterey County allows me, every day, to see people at their best. Whether it is the donor advisor wanting to improve the lives of children, or the agency that works diligently to make sure food pantries are full, or the couple whose estate plan will create a lasting source of grant funds to support the causes they care most about, the CFMC has the privilege of interacting with people who live life with a mission. 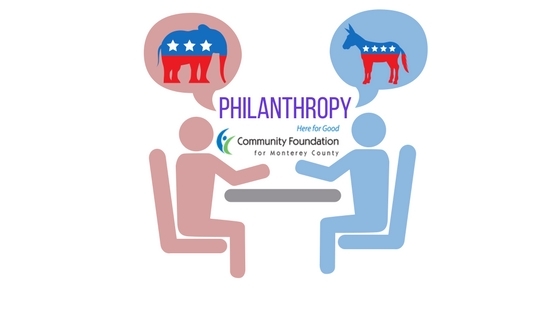 I recently had lunch with a donor advisor, and good friend, who has very different political views than mine. One of the basic tenets of my job is to never talk politics with donors, but this gentleman and I have known each other for years and have a deep friendship. And then we started talking politics. Even while our conversation is taking place, I’m asking myself, “What the heck am I doing? Do I want to risk this important relationship?” We finished our lunch, warmly shook hands, but clearly we’d had an uncomfortable moment. A week or so later he came into my office carrying a gift bag. Inside was both a “Make America Great Again” hat and a “Feel the Bern!” poster. But what was especially priceless was the glint in his eye. When all is said and done, this donor and his wife will make an estate gift that will have a profound effect (not an exaggeration) on Monterey County. 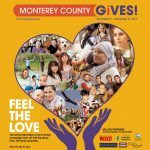 Doing Good Together: Monterey County Gives! As we’re reaching year-end, don’t forget about the Monterey County Gives! campaign. Simply get out your credit card then go on line at www.montereycountygives.com. Scroll around. You’ll be amazed at the depth and variety of organizations doing amazing work in Monterey County. Every dollar you give will have a pro-rata match attached to it, so your gift leverages extra support. 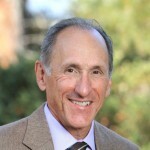 Dan Baldwin is President/CEO of the Community Foundation for Monterey County, which holds more than 450 charitable funds and has total assets of more than $220 million. In 2016 the CFMC granted $15 million to hundreds of nonprofits in Monterey County and beyond.